What can booking with Freightview do for you? We are proud to be connected to over 70 LTL carriers and brokers, and that's not just for rating--our technology allows you to instantly schedule pickups, generate PRO numbers, and create BOLs and labels. Build your BOLs and schedule your pickup requests instantly. Select the quote you like on Freightview so you can build your BOL instantly. You can even edit the quote details at any time from this page, and we will update your rate automatically so that it accurately reflects your bill of lading. When you're done building your bill of lading, you can schedule your pickup with the carrier by selecting "Schedule pickup and print bill of lading." You'll never have to call in a pickup again. Or, if you would rather handle scheduling the pickups yourself, you can select "Print BOL only." This will allow you to access all of our great booking features like labels, PRO numbers, and data/analytics, and speak with your favorite carrier dispatcher on the phone. Not paying for the freight you're moving? You can book those shipments with us too. If your customer or vendor is routing the freight, you can utilize our "customer routed" option. You can select the carrier you want to use, build the bill of lading, and schedule the pickup for your customer/vendor all on our platform. 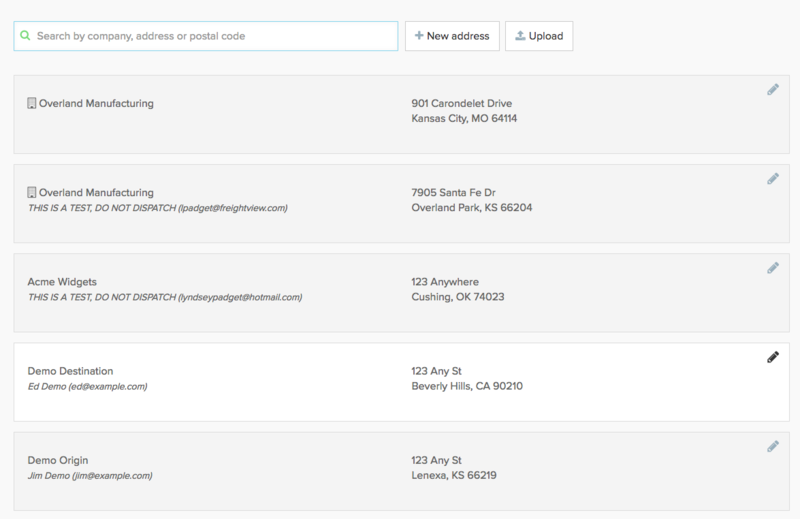 Instant BOL, shipping labels, PRO and pickup numbers, and tracking info in one spot. Once you've built your bill of lading and selected your pickup option, you'll be able to access your printable BOL, labels, PRO numbers, pickup numbers, and live tracking updates. You can also make changes to your bill of lading or pickup info after you book your shipment. The panel on the lefthand side allows you to cancel and reschedule shipments, as well as make changes to the bill of lading. We also allow you to choose whether you'd like to use the carrier's bill of lading or the Freightview bill of lading. Any changes you make to the shipment will be instantly communicated to the carrier, and we will update your rate quote accordingly. 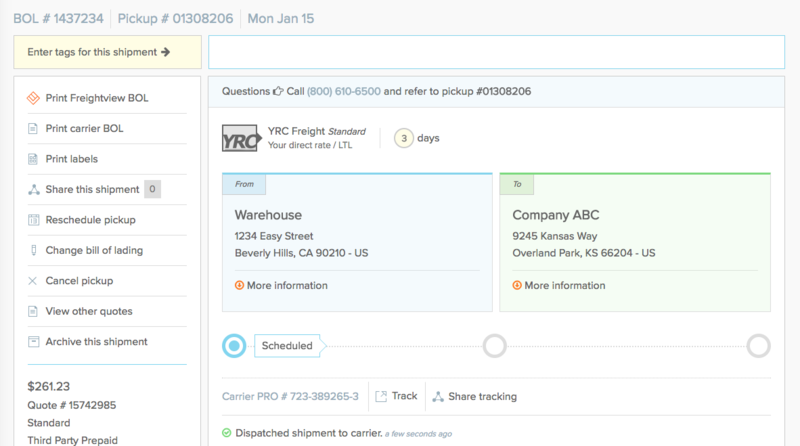 Keep people in the loop about your shipments instantly. 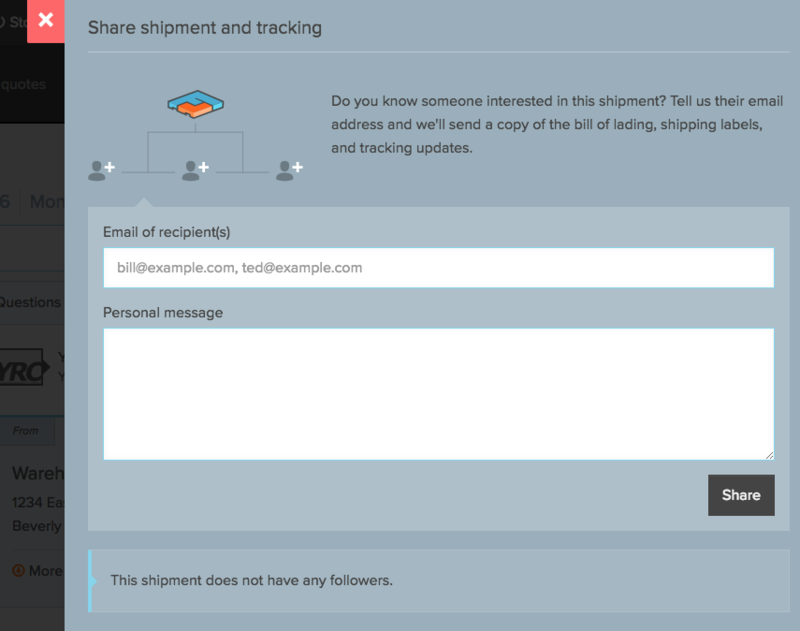 If you want to share your shipment with your coworkers, vendors, or customers, you can add them as followers to your shipment. This will allow them to view the shipment details and documents, and track the shipment. Followers are added automatically when you enter contact info on the booking page, and you can add them after you book by clicking the "Share this shipment" button on the lefthand panel. Keep track of your contacts and commodities with our address book and product catalog. Booking with Freightview unlocks the full potential of our address book and product catalog features. When you book a shipment on Freightview, our system stores the commodity information and the origin/destination companies. Our address book and product catalog are fully integrated into our quoting page, so you can quickly select them the next time you're running a quote and booking shipments. View and export all your shipments in one spot with the Shipment List and Archive. All the shipments that you book on Freightview appear in one centralized, accessible list. You can sort and filter this list however you'd like, and even export your shipping data into a .csv file. If you'd like to hide a shipment from your list, you can click "Archive." This will move it to your shipment archive list. Unlock analytics and reporting on your shipping patterns when you book with Freightview. Once you start booking all your shipments with Freightview, you can truly reap the benefits of our reporting and analytics features. We'll show you how you've distributed your freight spend across your providers, which lanes you're frequenting, and your spending history on our platform. Our reporting gives you complete visibility of your freight spend to help you maximize savings. Schedule a no-obligation 15 minute demo of Freightview to see what else we can do for your business.